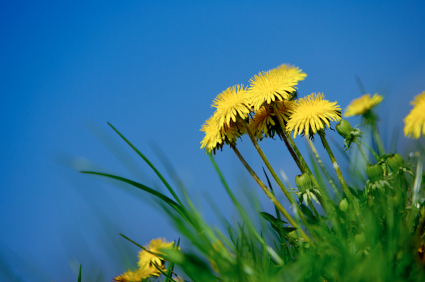 Remember when you were a child, and you’d run barefoot in the grass searching for dandelions? And it brought such simple delight, to feel the grass in your toes and the sun on your face and the wind in your hair, to search for these gems? And if you found them while they were still yellow, you’d pick a whole bunch of them to bring home to Mommy and Daddy, just proud as can be? And we knew Mommy and Daddy were touched by our sentiment but didn’t realize we were bringing them weeds? 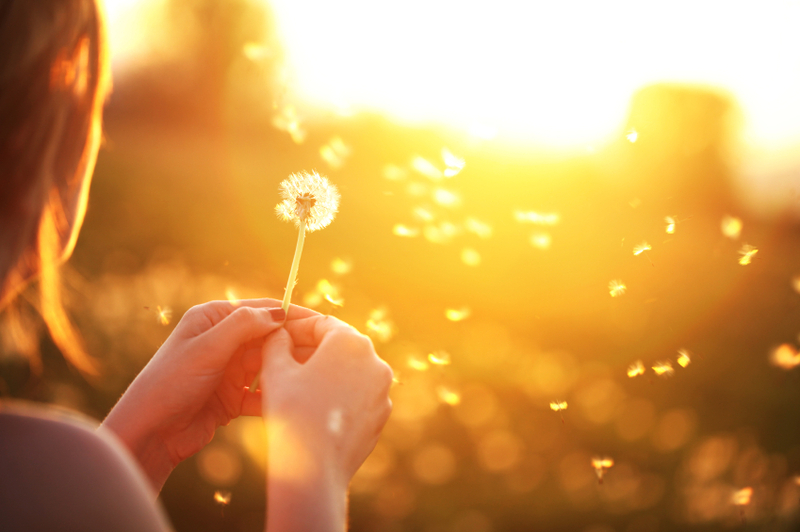 And if you found them when they had already turned, you’d pick it and close your eyes and make a wish and watch each whisper of the dandelion float along with the wind and into the future? Those were the purest of times, when our imaginations were vibrant and unending and our dreams were bigger than our present. At what age do our imaginations lose their color and the limitations start to appear and our dreams get smaller and smaller? Because as children we delighted in the dandelion, and now as a parent I am one of the ones to see it as a weed. But Jesus said to be like the little children to enter the kingdom. It’s a perennial plant, lasting for an indefinitely long time; enduring; perpetual; everlasting; continuing; recurrent — as is our relationship to Christ and our life after death. The leaves of the dandelion will grow back if the tap root is left in tact — Jesus is our tap root. The seeds dispersed from the plant rapidly colonize the surrounding soil — just like our lives should be a witness to those surrounding us. After flowering is finished, the dried petals and stamens drop off — as do our sin nature and ungodly characteristics. The bracts then curve backwards and the parachute ball opens into a full sphere — just when we feel we are the most broken, we become something new. Finally the seed-parachutes expand and lift out — we go into our communities and into all the world and bring the seed of the Word to those around us. Can that really just be a weed? And the other day as I was running, I couldn’t shake the image of the dandelion. And the sky was as blue as a flame, the air was crisp, the afternoon sun was shining low through the trees and illuminating the color changes beginning to take place. The breeze was gentle and as I crested the top of a hill, my heart was so full I couldn’t help but stop and cry. Because I realized that we are the weeds. We are dandelions that grow pretty and yellow but then are broken and hollow out into empty shells of what we once were. And we’re growing wild in the middle of the pretty world that doesn’t want us and sees us as a nuisance, and right before we’re about to wither and die, Jesus runs barefoot in the dew to us and delights in us when He finds us. And He gathers us up — us, His manna — and takes a deep breath and blows and makes something of us. And He puts us in a bunch and proudly presents us to His Daddy, who thinks we’re just as beautiful as His Son does, and puts us on display. And then He makes a wish for a future and a hope and we float along with His wind — the Spirit — and into the future He’s planned in advance for us. And His imaginations towards us are vibrant and unending and His dreams our bigger than our present. I’m working on something…something that involves the dandelion and inspires us to be still and to be free and to be the weed. And it’s so incredibly exciting and I can’t share the details of it yet, but it’s coming soon. Will you pray for me as Jesus takes a deep breath and blows and makes something of me? Be the weed today. Stop seeing yourself as ugly and unwanted and unnecessary, but rather see yourself as a determined plant who has firmly decided to bloom where you’re planted. One that Jesus Himself delights in and runs to barefoot in the grass, smile wide and eyes bright, because He delights in you. Hi Monica. I know this post is from several years ago, but I was wondering if I had permission to use these dandelion photos on a blog post that I would like to write. I am starting a ministry for miscarriage mommas. The photo of the blowing dandelion is exactly what I am looking for. Hi Briana, I actually got these photos from a stock photography website several years ago. I had the copyright included at some point but when I changed to a new WordPress theme the captions went away and I am not able to find them. :( I’m so sorry! I believe I got them from iStockPhoto.com, so adding a (c)iStockPhoto.com would at least be a good place start if you end up using them (I’ll do the same!). I love your ministry — having suffered through a couple miscarriages myself, I know personally how much a ministry like this will impact other women. If I come across the original copyrights at a later date, I’ll let you know! It staggers my mind that He delights in His “weeds”…and dances over us….singing joyfully….my heart is full…. Monica, if there were a ” love” button, I would SOq be using it for this post this morning! I absolutely love the visual of the dandelion lifecycle and our own lifecycle here on earth with Jesus Christ. Thank you thank you thank you. Yet another printer for me! And you can bet your bippy that I am praying for you, sister! So very exciting!